LONG LASTING COOLNESS JUST WITH WATER!! MAGICOOL is a Neck Cooler that increases cooling by just soaking it once in water. The good cold feeling continues surprisingly long if wrapped around the head and the neck. However, the cold feeling is wrapped and can be refreshed by only it is to containing water, whenever and wherever. And, you can use this Neck Cooler repeatedly. It debut in outdoors in hot weather this summer, and its debuts to enjoyments is indispensable as a cooling agent for sports. You can enjoy tennis, jogging, walking, strolling, mountain climbing, hiking, camping, watching sports, and more comfortably with Neck Cooler[MAGICOOL]! 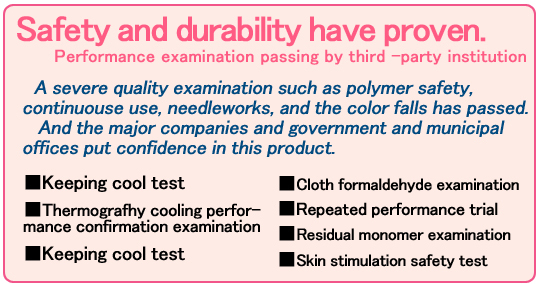 The secret of the cold sense is special Polymer. Please take a look the figure right side. 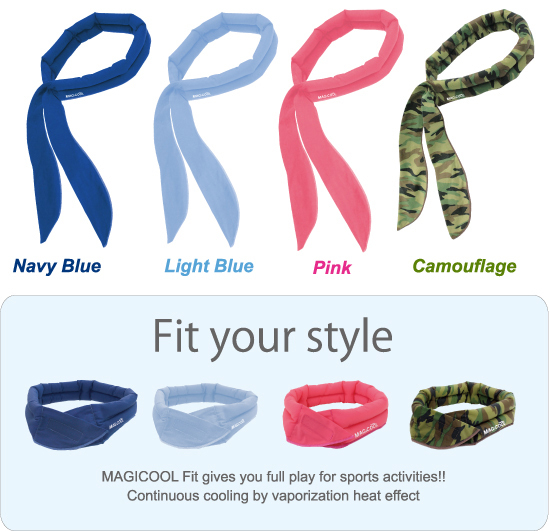 You can see the temperature around the neck has fallen by MAGICOOL(Neck Cooler). 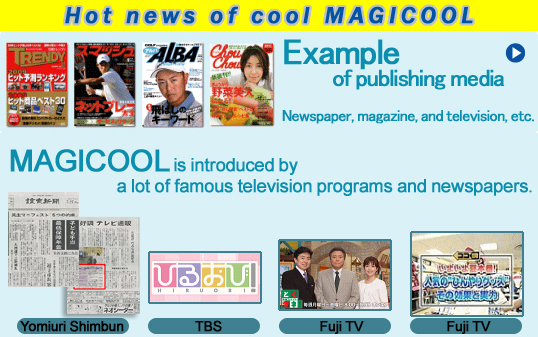 "MAGICOOL" works because of its special polymer, absorbs water and keeps it. And when a large amount of the moisture evaporates, it cools down body heat and keeps, you feeling good for a long time. When would you like to be cool?